As we all know vampires have been around for ever and have grown and evolved with every rising generation. Amongst so many mythological manifestations of evil the story of an undead blood thirsty monster never seems to lose its hold on humanity. Authors continue to stain the purest of pages with words that bring vampires to life while leaving behind them a trail of fear, captivating the reader. The word vampire basically means drinker of blood. They have been represented from an undead corpse that rises from the grave every night to feast on unsuspecting people to a high school vampire that twinkles in the sunlight. Everyone has their own take on what they feel would be a real vampire and so it’s always a challenge to be unique in the writing and express more the essence of these incredible characters. In fact some people have traced vampires back to Greek mythology. Apollo being a jealous god didn’t bless Ambrogio and his wishes to marry Selena. Instead he placed a curse on him as Apollo wanted Selena for himself. This curse stopped Ambrogio from being able to be in sunlight as his skin would burn. Many think that Bram Stoker named Count Dracula after Vlad Dracula, also known as Vald the Impaler. Vlad Dracula was born in Transylvania, Romania. Ruling Walachia, Romania, on and off from 1456-1462. He would partake in somewhat strange and gory things such as dipping his bread into the blood of his dying victims. Bram Stoker denies basing it on Vlad Dracula though. So what is it about them that fascinates and entices our curiosity? The fangs, immortal regenerating abilities and luring skills just touch the surface of what makes a vampire a vampire. Having to drink fresh blood in order to survive while staying out of the sunlight are a much needed limitation for this creature that ultimately has been created from pure evil. I think that fact that they are so different from us and come from the darkest of places allows our minds to wonder into the unknown and ask the age old question, are vampires real? Yes in fact there are people who believe that they are vampires and apart from makeup, contact lenses and accessories they actively drink blood every day; Although this is in no way for survival but rather for fun or pleasure. In regards to not being able to be exposed to sunlight there is a skin condition called Xeroderma Pigmentosum, this is an extreme sensitivity to UV rays and makes the chances of getting skin cancer 10,000-fold. It’s the warning signs that give the disease its name. The word “xeroderma” means extremely dry skin and “pigmentosum” refers to the freckles and dark spots. People would love the power to defy life and death and what better way to do that than being immortal? The main reason this has appeared in many vampire novels is because after a person has died their hair and nails still grow for a certain amount of time, making it seem as if the person is still alive. People have always had a fascination with death and what awaits us in the afterlife. So if someone had the power to bring people back from the brink of death they would be seen as a god. They would be immortal through science and defy the laws of nature in doing so. There is also what people call physic vampires; these are everyday people who are known to drain another person’s energy purely by engaging with them physically, mentally or emotionally. After looking at all the variations of vampires I think it’s safe to say that a vampire can to a certain extent be anything thing you want it to be. There are no limits in our imagination and every variation allows you to get to know a different kind of vampire and enjoy the world we create for you as authors. Having Psycho-Analysis: Khedlar's Story - The Beginning published and I'm now waiting for my second book in the trilogy Revenge to follow in it's steps on the 1st of March. It makes me feel exited at how far my novels have come and the journey they have sent me on. 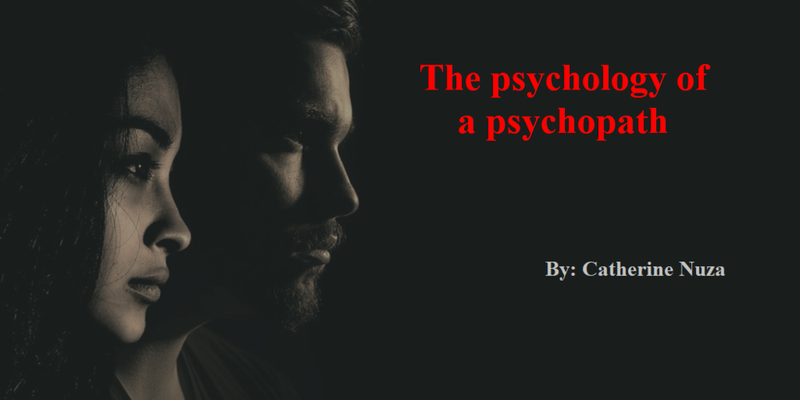 Psycho-Analysis: The Beginning first came to me as an idea for a short story. I had never intended to eventually expand on its young bones and allow it to grow in this life as I did, picking up more ideas and becoming well rounded in formation. In July 2017 my first psychological thriller was written and published for the world to read. I was happily surprised by the lovely comments and reviews that readers gave as their feedback. This placed me firmly on the road to creating a trilogy, a kind of psychological thriller that was different from the norm. It boosted my confidence and belief that these books needed to be written. Being an extremely visual person I adore books that allow you to step into the shoes of the main character and experience the story from their perspective along with the persons confusion, highs and lows. You get to see and taste their world from the lens they use, not mine, to view the world around them. The name Dawn Vines came to me one night when I was writing the first draft of my novel and I knew it suited the towns name perfectly. It was a brilliant fit right from the very start! By growing up in Gibraltar, a British colony on the southern tip of Spain, I knew how small towns can allow you to personally know the majority of locals and stories about their lives. What if this peaceful aspect was messed with in some way and held dark secrets that could stir your soul? This thought of “what if?” set my mind racing deeper and deeper into the image I had created of Dawn Vines and the more I wrote, the more the characters just seemed to become unique in their own right. I enjoyed writing my first book in the trilogy so much that my second book, Revenge pretty much wrote itself. It should be out on www.Amazon.com on the 1st of March 2018 so keep checking this blog for more details and updates. With It’s new release August 2017, Psycho-analysis, Khedlar’s Story. The beginning has hit the world by surprise. A fresh new take to stimulate readers in their curiosity and ignite the readers minds. Fall into Khedlar’s shoes to feel submerged in the intricate world of Dawn Vines. Check out the Buy tab on this website to view links for purchase. Next the beginning of revenge!!! Khedlar’s story, revenge is well on its way and being edited. Hold on to your seats this second book in the dark psychological thriller trilogy will allow you to sink that much deeper into Khedlar’s world in Dawn Vines. Not everything is as it seems! What do people look for in a psychological thriller?? It may be obvious to some that suspense, twists and turns and most importantly a “good guy” and a “bad guy” are what makes a good psychological thriller. I would agree that these are some of the elements but the list is in no way complete. So where do we start? A great way of engaging your reader with a novel is by introducing elements that may be familiar or a comfort in some way. When people feel connected to something on a personal level it will draw them in. This works really well when taking place in a home, bedroom or school for example and then changing that place of comfort, into a place to be feared. It pulls at our raw need for safety and confuses the reader. These places are supposed to be safe and they suddenly discover that they should be scared of them. Why are Killers always so perfect? When people think of a killer there is a lot of dissociation going on. You would never kill anyone, so logically they must be different to you. This distinction is so vast that in your eyes the murderer is no longer as human as you are. This is incorrect as killers are just as human as anybody else but the reason why they kill is deeply routed in the psychology of their past. Every killer has a story and life just like any other person. I have read countless books where the killer who is planning a murder is so cool and collected, it's very rare to see them make an error. Like anyone who is learning, mistakes will always happen. So in writing a psychological thriller allow the killer to not be so perfect, as no one is. It will portray them for what people are, flawed. When trying to create a story that will leave the reader intrigued, enjoying the journey and wanting to know more, we can sometimes create too many twists and turns. The reader can lose interest and stop enjoying the story if they think the plot is too complicated or hard to follow as this can ruin the overall flow. In fact just one twist can be enough for readers to enjoy. This really depends on what kind of storyline you are writing and if twists are needed to make the reader as confused as the main character. Regardless if your story is rooted more in fantasy or reality, the characters have to come across to the reader as someone they might know or knew once upon a time. That familiar element will help ignite feelings inside the reader such as shock, horror, disbelief or satisfaction when things happen to the characters in the story. A novel needs to create some sort of emotional reaction in the reader for them to relate to it better. When a person reads a romance novel they know what to expect, the same goes for reading a psychological thriller. They want to be left in suspense, kept on the edge of their seats, shocked and surprised; so give the reader what they want. When writing a book it is very easy to describe things in the same way others have, but where is the uniqueness that readers often search for? Wherever and whenever you can, implement your own style and flare, after all it is your story. Be original and creative with your imagination. Genres like the classic thrillers have characters in the story that are portrayed as being in the moment because they physically respond to external threats. Whereas in the subgenre of psychological thrillers, the story mainly tries to manipulate characters or situations. 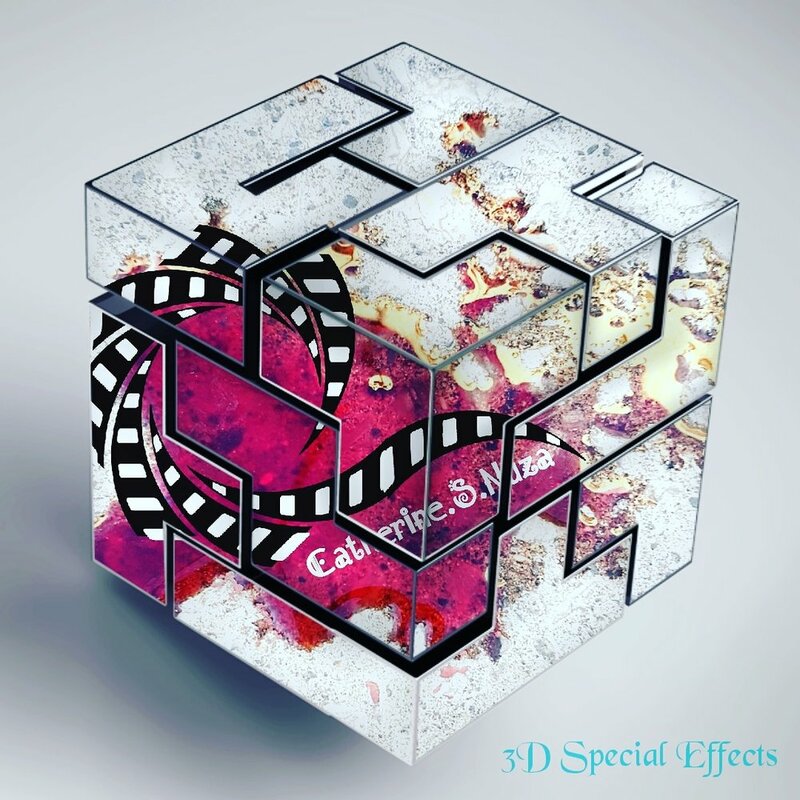 It twists and plays with the characters emotional and mental state of being. The true element of a thriller can be shown by using suspense, fear, trauma or horror as well as many other factors under the same umbrella. I personally love writing psychological thrillers as when playing with what the mind knows is real or thinks is real, it can open up an unlimited platform to create a different and new world for the reader to enjoy. When writing a psychological thriller, unexpected people and events or surprises can give the story a more realistic feel; as life is never plain sailing. The depth of the story depends on how much detail you have added into it. With every character I write about, I know their background story. Keeping this in mind you can add in nuggets of knowledge for the reader as they get to know the characters. This background will also help you know exactly how each one of the characters are going to react to each other throughout the story. Having well rounded characters helps to bring that realness into the story and gives them a certain presence. Most importantly writing a novel should be enjoyable for the author and enjoyable for the reader. If you have written out a skeleton mock-up of your story but are unsure if it's a story someone would enjoy reading ask a friend to read it over. They can give you honest feedback and possibly help you correct any errors. Writing is limitless and creative so just have fun with it and allow it to flow. I hope these points help you with any writing you wish to pursue. Revenge is on it's way!! I would just like to keep everyone updated as I am pleased to announce that Revenge is on it's way and will be hitting Amazon.co.uk and Amazon.com soon. I would like to extend a big thank you to everyone for their support and kind words as it means the world to me. If you are new to my website please feel free to check it out, if you would like to learn a little bit about me check out my Webinar. Just click the link below and it will take you to a page that you will be able to select the date and time to watch it that would be convenient for you. Revenge is the second book in my new psychological thriller trilogy, one that is not for the faint hearted.